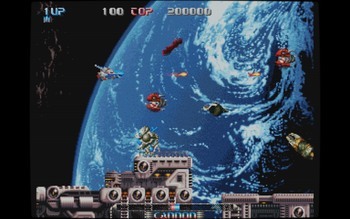 After testing of all new games that was added in MAME v198, I've decided to add 'Strider 2', because this game is playable. Game files, snapshots, movie and description for this game was created. Another thing: 'support files' added (incl. the newest 'Series.ini' and 'Version.ini' by Antopisa). Arcade32/64 updated with NO-NAG edition. And a few of small changes. 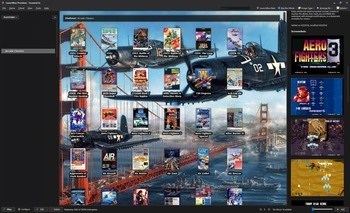 MAME Mini, Launchbox Mode, BigBox Mode. Original compilation made by Colpipes. Updated version by dax. The compilation contains everything needed, except RocketLauncher settings which no need to update. It also incl. 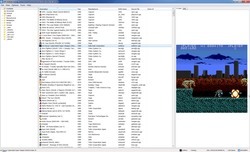 Registry settings for emulator with changed mappings for 2 players (keyboard and XBOX pads mappings) - available in emulators directory - or You may use my automation batch 'LBsetter'. Every game has: title, screen, movie (LB & BB Mode). "Kung Fu" does not work - I don't know why. Maybe it's related to emulation, maybe other things. 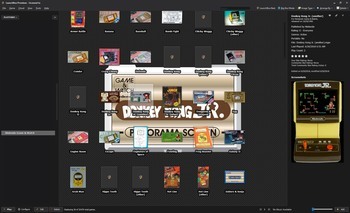 I suggest to delete original folders before copy - to prevent duplicated images/movies/games. You may also NOT to delete and have more duplicated files. You decide. Link active to the end of July. The compilation has 99 of games in .chd format (fastest loading speeds) and is ready to run out of the box with the newest MAME. Every game has: title, screen, movie. Games preconfigured to be controlled with keyboard or X1/X360 pads, up to 2 players at once. By default I configured it to display with customized BGFX set (requires external graphic card). You may change it manually from BGFX to D3D or OpenGL with shaders through MAME (or within 'LBsetter' - my batch program). The whole compilation is distributed as WinRAR SFX archive. It has NO virus, NO trojan, NO keylogger. If You don't trust me, check all files with Your favourite AV software. I suggest to NOT synchronize this compilation with LaunchBox database, because it's INCOMPATIBLE with its database (max. : 80%). 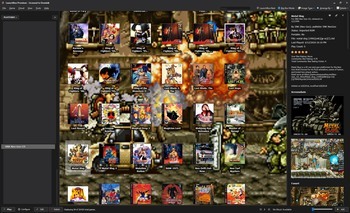 I've renamed few of game titles to fulfil MAME/ARCADE standards. P.S.1: 2 wheels missed. 'Double Dragon' is unplayable. P.S.2. : Screenshot made with Retro Mode (BGFX filter customized). P.S.3. : File "Launchbox\Data\Platforms.xml" contains extended descriptions for my 'Arcade Classics' and 'SNK Neo-GEO CD' compilations. If You use Colpipes "A.C." or "NGCD" compilations, DON'T USE "Platforms.xml" from my upload and delete the file from downloaded package. P.S.4. : If I missed any NGCD game in the compilation, post it here! Grab it while You can. I won't re-upload it! Hi dax, thanks for the compilation. 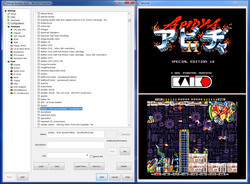 - Made it compatible with 'LBsetter' (my batch configurator for all Libretro (by anyone), Arcade Classics (by dax), SNK Neo-Geo CD (by dax). Compilation is COMPATIBLE with LaunchBox database approx. 90%, except entries that does not exist in database and a few of incorrect screenshots (example game: 'Snoopy'). Before unpack I suggest to delete original folders from Your disk for consistency and to eliminate duplicated images. P.S. I can't start playing game 'Chicky Woggy (VTech, Arcade Time & Fun)' to make screenshot during game, that is why black LCD on screenshot. freenit: are You sure? Asking because I have this game in compilation and screens, movie. 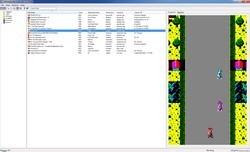 Check Your .xml file first is this contains game entry, then verify is game file attached. dax wrote: P.S. I can't start playing game 'Chicky Woggy (VTech, Arcade Time & Fun)' to make screenshot during game, that is why black LCD on screenshot. It could be a win10 direct X problem. dax wrote: Can You create screenshot with machine? 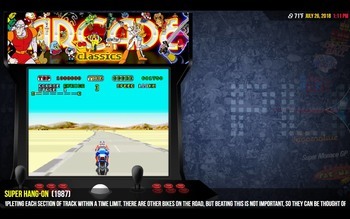 'Arcade Classics' is compilation that uses my 'MAME Mini v200' and 'HBMAME Mini v200' compilations, which I work on since 'several' years. 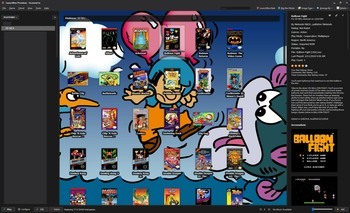 The compilation has more than 1000 of games and is ready to run out of the box. P.S. 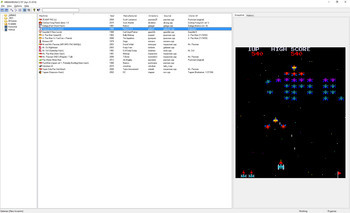 File "Platforms.xml" is useful ONLY when You use 'Arcade Classics' by dax. 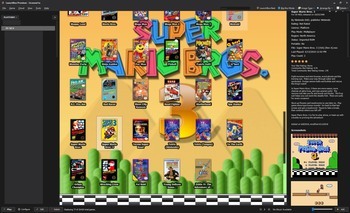 If You use Colpipes' or MadK9' 'Arcade Classics' then DON'T REPLACE THIS FILE! 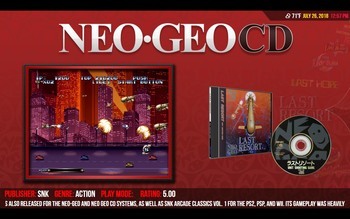 'SNK Neo Geo CD' uses my 'Negatron AIO' compilation, which was released 2 years ago, with a few improvements to current MAME v200. 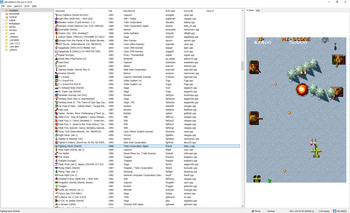 The compilation has 99 of games and is ready to run out of the box. P.S. File "Platforms.xml" is useful ONLY when You use 'SNK Neo Geo CD' by dax. 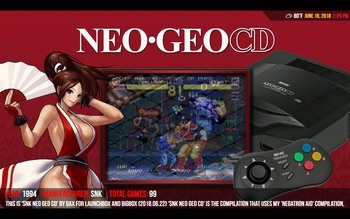 If You use Colpipes' 'SNK Neo Geo CD' then DON'T REPLACE THIS FILE! 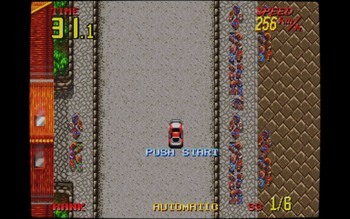 MAME Mini v200 contains more than 1000 of arcade games selected by 'myself'. HBMAME Mini v200 contains 32 of arcade hacks selected by 'myself'. That is why still using HBMAME v197. What is the password for Mame Mini v200 ? I would like to remind You (for those that still don't know), that DamienD (mod from EAB) released his own compilation with Amiga games. 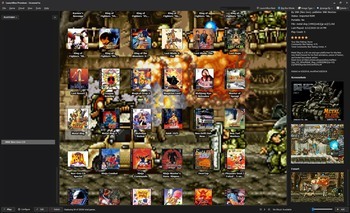 The compilation has more than 2500 of games in current state. 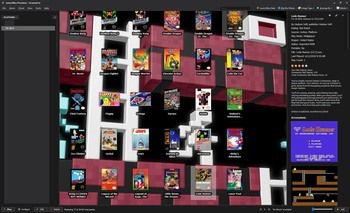 Comparing to Gamebase Amiga, his compilation has no WHDLoad games, but has much more playable/configured games, including these, that was released in 2018... and still growing! This is not an advert. I do this for free and with no profits.